People learn from the news on recent science and these studies are often breakthroughs. Sometimes, a study would ‘contradict’ long held beliefs or even another study or they fascinate us with some novel idea or perspectives. These ‘breakthrough’ studies would often gets press attention, although when examined closely they may be overstated. This happens when academic journals are likely to accept studies that has found breakthroughs rather than studies that could not find breakthroughs or is ‘old news’ science. This is called publication bias. Science is self-correcting by repeating the studies and reaffirm or disconfirm the original findings. This is quite similar to game testing, game bugs are identified, game testers repeatedly replicate the conditions leading to the bug in order to figure how it happened and where it can be remedied in the programming. Unfortunately, beta testing scientific findings is not on every scientists’ mind as they are pressed by a lot of people to push the boundaries of the unknown. This results in the audience trusting scientific findings unknowing that it is not been beta tested enough. Without beta testing for video games, it is quick to spot game breaking bugs in the final product. For science, it is not obvious to spot the ‘bugs’ in the findings, so it is up to the scientists to replicate them. Last Sunday, I finished The Walking Dead: Season two’s third episode. At the second last flag, I decided that Clementine should stay and watch Carver. 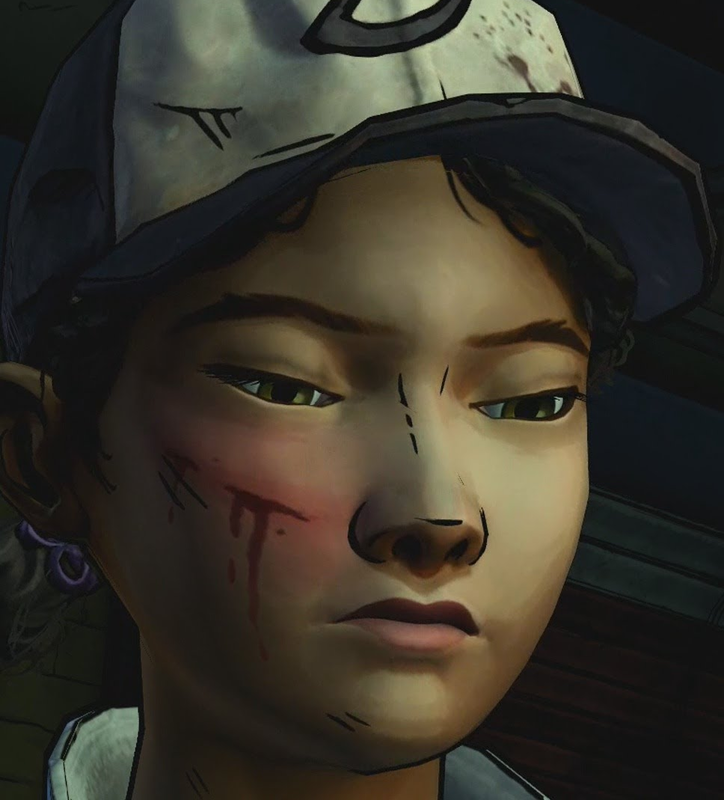 Watching Clementine’s stare, it reminded me of Patricia Arriaga, Joana Adrião, Filipa Madeira, Inês Cavaleiro, Alexandra Maia e Silva, and Isabel Barahona study on players’ pupil dilation after playing a violent videogame. The study was published in the Psychology of Violence. Objective: The present experiment analyzed the effects of playing a violent video game on player’s sensitivity to victimized people by measuring the involuntary pupil dilation responses (PDRs) during a passive picture viewing paradigm and examining the mediating role of PDR on aggression. Method: Participants (N = 135) were randomly assigned to play a violent video game or a nonviolent video game. The participants’ PDRs were then recorded while they were exposed to pictures of alleged victims of violence displayed in negative, neutral, and positive contexts. A competitive reaction time task was also used to measure aggression. Results: Participants in the violent game condition demonstrated both a lower PDR to the victims of violence in a negative circumstances and greater aggression than participants in the nonviolent game condition. Lower PDR to victims displayed in negative context mediated the relationship between violent game play and aggression. 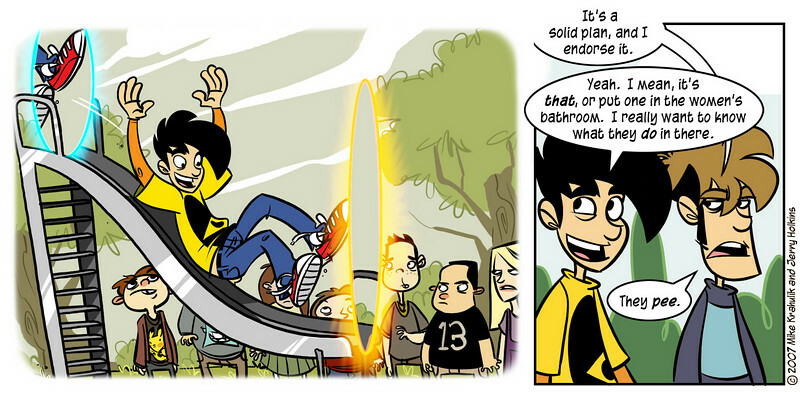 Conclusion: The negative effects of playing violent games are a societal concern. Our results indicate that a single violent gaming session can reduce the player’s involuntary PDRs to pictures of victimized people in negative context and increase participant aggression, a new relevant finding that should encourage further research in this area. Emily Collins (University College London) and Jonathan Freeman (University of London) have published an article in Cyberpsychology, Behavior, and Social Networking regarding differences in cognitive performance amongst gamers with or without problematic videogame use. Action video game players have been found to outperform nonplayers on a variety of cognitive tasks. However, several failures to replicate these video game player advantages have indicated that this relationship may not be straightforward. Moreover, despite the discovery that problematic video game players do not appear to demonstrate the same superior performance as nonproblematic video game players in relation to multiple object tracking paradigms, this has not been investigated for other tasks. Consequently, this study compared gamers and nongamers in task switching ability, visual short-term memory, mental rotation, enumeration, and flanker interference, as well as investigated the influence of self-reported problematic video game use. A total of 66 participants completed the experiment, 26 of whom played action video games, including 20 problematic players. The results revealed no significant effect of playing action video games, nor any influence of problematic video game play. This indicates that the previously reported cognitive advantages in video game players may be restricted to specific task features or samples. Furthermore, problematic video game play may not have a detrimental effect on cognitive performance, although this is difficult to ascertain considering the lack of video game player advantage. More research is therefore sorely needed. Via Mark Griffiths’ Twitter, a Huffington Post article discussed about how playing video games can leave some perceptual aftereffects called Game Transfer Phenomena. The article is based on a recent publication by Angela B. Ortiz de Gortrari (Nottingham Trent University) and Mark Griffiths (Nottingham Trent University) in the International of Human-Computer Interaction. The aim of this study was to identify, classify, and explain gamers’ perceptual experiences referred to as Visual Game Transfer Phenomena (VGTP) to contribute to the understanding of the effects of post-video-game playing and encourage healthy and safe gaming. A total of 656 experiences from 483 gamers were collected from 54 online gaming forums. The findings suggest that intensive playing can result in misperceptions and visual distortions of real-life objects and environments, stereotypical visual experiences that arise from mind visualization, and pseudo-hallucinatory experiences with video game content. Gamers’ experiences can be explained by the interplay of physiological, perceptual, and cognitive mechanisms. Observation of video game features suggests that in most cases a relationship between the games’ structural characteristics, gamers’ VGTP experiences, and gamers’ playing habits appeared relevant. VGTP can occur while gaming, immediately after stopping play, or after some delay. Further VGTP characteristics and their psychosocial implications are discussed. Several months ago, Jamie Madigan (Psychology of Video Games) blogged about inattention blindness in video games, his explanation of the phenomenon is spot on and so I suggest you read his blog before continuing. A few earlier months, I picked up an article by David Vallett (University of Nevada Las Vegas) and his colleagues on this very topic. I forgot about it until it showed up again in the newest issue of Computers in Human Behavior. Early studies of visual attention noted a phenomenon termed ‘inattention blindness’ – the inability of participants to see clear stimuli enter the visual field when attending to something else in that field – and sought to expand the understanding of the phenomenon (Neisser & Becklen, 1975; Simons & Chabris, 1999; Stoffregen, Baldwin, & Flynn, 1993). Other research has focused on the changes to the human brain and cognitive functions as a result of video game play, both in positive and negative contexts (Howard- Jones, Ott, van Leeuwen, and De Smedt (2010)). This quasi-experimental study sought to corroborate some of the findings that tie together these seemingly disparate lines of research, adapting the methodology of the most cited inattention blindness experiment (Simons & Chabris, 1999). The video is relevant to the article’s examination of cognitive flexibility, which is defined in wikipedia “as the mental ability to adjust thinking or attention in response to changing goals and/or environmental stimuli”, and real-time strategy games. Brian Glass (Queen Mary, University of London) and colleagues have an article published in PLoS ONE. Through Jamie Madigan, Brian Glass contacted me about posting his study in my blog and I asked him to write the blog post, which is great so I can have some extra time to write on other studies. Training in action video games can increase the speed of perceptual processing. However, it is unknown whether video-game training can lead to broad-based changes in higher-level competencies such as cognitive flexibility, a core and neurally distributed component of cognition. 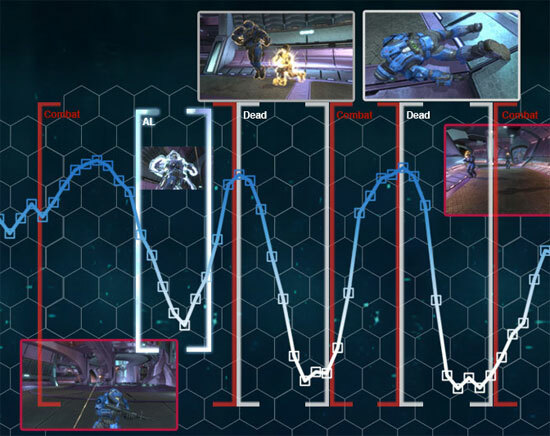 To determine whether video gaming can enhance cognitive flexibility and, if so, why these changes occur, the current study compares two versions of a real-time strategy (RTS) game. Using a meta-analytic Bayes factor approach, we found that the gaming condition that emphasized maintenance and rapid switching between multiple information and action sources led to a large increase in cognitive flexibility as measured by a wide array of non-video gaming tasks. Theoretically, the results suggest that the distributed brain networks supporting cognitive flexibility can be tuned by engrossing video game experience that stresses maintenance and rapid manipulation of multiple information sources. Practically, these results suggest avenues for increasing cognitive function. Annie Lang (Indiana University) is a name every grad student should know. In fact, one of her former graduate student is a faculty member at OSU (Zheng Joyce Wang). She is big because she developed the Limited Capacity Model of Motivated Mediate Message Processing (LC4MP) explaining how we pay attention to information, be it to a conversation, television or videogames. She is also one of the few who studied communication through psychophysiology. So when her name came up and it involves videogames, then it must be important, although painful to read since I’m weak against psychophysiology research. This paper reports a study designed to investigate whether playing violent video games elicits the psychological conditions theoretically required for media use to cause aggressive behavior. Specifically, the study was designed to examine whether these games elicit desensitization, facilitation, and disinhibition. Thus, does physiological arousal in response to violent activity decrease over time during game play, and is there a difference between novice and experienced game players (as would be expected if desensitization had occurred)? Do players experience positive emotional states when actively engaged in virtual violent behavior (fighting and killing opponents) – a necessary condition for disinhibition? Do game players frame their motivations in terms of self-defense and game success, as would be necessary for facilitation to occur? The results showed that playing first-person shooters did elicit these requisite patterns of cognitive, physiological, and emotional states. Violent game play is a positive, arousing, present, dominant experience, as required for disinhibition and facilitation. Experienced game players are less aroused than less experienced game players (as required for desensitization). Further, during a game-playing session, exploring and searching for enemies become less arousing, while fighting and killing become more arousing over time (as required by desensitization and facilitation).